Franco D’Alessandro is native of New York and has been educated and worked both in New York City and Italy (Rome and Siena) and speaks fluent English and Italian. The Irish-Italian-American playwright has had professional Off-Broadway, Off-Off Broadway and regional and international productions of his work. >From 1996-2001 there were a dozen New York productions of his one act plays at theaters such as HERE, Walker Space, and Soho Rep. His 2002 Off-Broadway hit Roman Nights, which explores the artist/muse paradigm, vis-à-vis the tumultuous and dramatic life of stage and screen legend Anna Magnani and her inspirational friendship with the great playwright, Tennessee Williams, was published in the “Best Plays of 2002” and nominated for various awards. This play was a critical and commercial success in both New York and in London in 2004. It opened in Prague in 2006 where it has been sold-out for nine years and is running through 2018. The play continues to be produced all over the world; as of 2015 in Argentina and Chile, and in Italy, Spain, Brazil, Croatia and Slovenia, and Russia, and has received special performances at theater and universities in Italy, France, Spain and Ireland. Roman Nights has been nominated for over 46 awards worldwide (12 for Best Play) and may soon be made into a feature film. Franco's drama The Shattering -has been work-shopped at The Cherry Lane Theatre with Olympia Dukakis and Christina Zorich and is seeking a premiere production. Maximum Happiness (which deals with the shattered lives of those who lost loved ones in 9-11) features two one act plays: Venice, Again and One Hundred Dollars Worth of Change. The upcoming trilogy The Museum Hours examines the healing and transcendent powers of art is set in museums in Florence, Italy. This had a reading workshop in July 2010 at The Circle in the Square Studio with Gregory Abels directing. And a forthcoming trilogy of plays entitled The Claddagh Ring Cycle deals with various facets of modern Irish-American life and should be completed by summer 2015. Part One of this trilogy, the controversial Dancing Barefoot in the Dark, a 2015 Eugene O’Neill Semi-finalist, examines education and relationships as subtext for the British occupation of Ireland. Franco has also been hired to adapt the acclaimed 1970 novel Out Of Place by Joseph Papaleo for screen. Other new works are White Elephants Dancing The Flamenco -inspired by the work of Ernest Hemingway- which received a Los Angeles 2012 reading at The Working Stage. A new one-woman play entitled Solo Anna (the life and art of Anna Magnani) starring award-winning Italian actress Lidia Vitale has been playing in Italy since May 2012 and had a three-night NYC festival premiere with Kairos Theater in June 2013. Solo Anna has received the Anna Magnani Award for Theater Excellence and the Premio Enriquez for Outstanding Contribution to International Theater. By 2016 D'Alessandro's plays will have been translated into eight languages and performed in over ten countries. 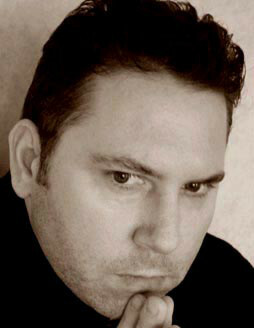 In addition to his work as a writer, D'Alessandro holds a Master's Degree in English (theater) Education from Fordham University and teaches drama, theatrical text analysis, and creative writing in New York City schools, is an adjunct at several American universities and often in Rome and Prague during the summers. His poetry has been published in various literary journals and most recently has been featured three years in a row in Balancing The Tides: Art and Poetry Journal. In September 2009 “Supplications”, a book of poetry, was published by Finishing Line Press and nominated for a New England PEN Award. In 2011 a collection of his acclaimed one-act plays entitled Stranger Love was published, it has sold 1,000 copies and is available on-line and at NYC’s prestigious Drama Book Shop. Franco D’Alessandro is a 2001, 2002 & 2015 Eugene O’Neill Playwrights Conference Finalist, a 1998 & 2000 Edward F. Albee Foundation Residency recipient and 2000-2001 Cherry Lane Theatre Alternative Finalist and 2001 Princess Grace Award Nominee. A 2000-2001 NEA/TCG Playwrights Nominee, a 1999 & 2000 Dorset Theater Colony Residency recipient and 2005 New Frontiers Playwright. In 2013 he was awarded a Big Apple Award for Excellence and selected as one of New York City’s Top 50 Educators, and was received by Mayor Bloomberg at Gracie Mansion. Mr. D’Alessandro graduated from Fordham University’s Graduate School of Education (English, Literature and Writing) and he is a Member of The Dramatists Guild of America (1996); The Cherry Lane Playwrights Alternative; The National Italian-American Writers Association; Irish-American Artists & Writers Association; and Writer's Guild of America.